When it comes to real estate, there are costs to doing business beyond just your down payment. There are appraisals, inspections, lender fees, possible repairs, and more. But, whether it’s from due diligence or financing, you are best served to know what your closing costs are going to be early on, so you aren’t surprised at the closing table. Different regions have different customs when it comes to paying closing costs. Here in Orange County, California, there are some closing costs traditionally paid by the seller, some traditionally paid by the buyer. But, these are not “rules” and all closing costs are negotiable. Now, let’s take a look at what some of the most common closing costs are, and who typically pays for them. The combined real estate agent commissions are generally around 5-6% of the sales price, and are split between the listing (Seller’s) and selling (buyer’s) agents. A good listing agent will put together and execute a comprehensive marketing plan for the seller’s property. While the market will ultimately determine how much a home sells for, it is the listing agent’s job to make sure it gets as much exposure as possible in order to generate offers. More offers, will usually result in the highest possible price. A buyer’s agent is the expert adviser to the buyers. It is this agent’s responsibility to guide the buyers through a transaction, keeping them well informed and insuring that they make decisions that are in their best interest. In just about every market it is customary that the seller pays the real estate commission. So really, the seller is paying both real estate agents. This is an important one. In California, a buyer generally has 17 days after an offer has been accepted to get a home inspector to come look at the property. It is every buyer’s nightmare that they close on the purchase of their home, only to discover some unforeseen and expensive defect. If any defects or unexpected issues are discovered, the buyer has the right to walk away from the deal and keep their deposit. The price of a home inspection varies with the size and scope of a property but is generally around $300-$500, and is paid by the buyer. 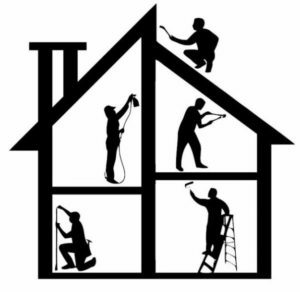 Sometimes, the home inspection will bring to light certain defects or features that need to be repaired. If something does come up, which party pays or how much they pay is entirely negotiable, and the cost for these can obviously range considerably. There are costs associated with obtaining the necessary financing to purchase a home. Lender fees usually include some kind of origination, underwriting, processing, credit reports, etc. Your loan officer will be able to provide a Lender Estimate that outlines what all of these will be. When shopping around it is important to remember that different companies have different fee structures. So, you are probably best served by using the total “bottom line” figure for making your comparisons. It is generally the buyer’s responsibility to pay these costs. Origination is the fee that a lender charges for funding a loan. Most lenders aren’t lending their own money. They borrow money against a credit line to fund your loan, and then sell that loan to an investor who makes their money on the interest you pay. There are two ways that origination can be charged. 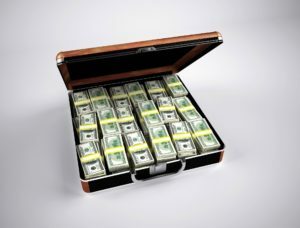 Either the investor pays it to the lender, or the borrower can pay it instead in exchange for a slightly lower interest rate (referred to as “buying down the rate”). Origination is charged as “points,” where each point is equal to one percent of the loan amount. By law, the total sum of origination and any other fees received by the lender may not exceed 3% of the loan amount. Lenders require an appraisal of a property’s value before issuing a loan. The lender wants you to owe less money on a property than it is worth and the appraisal is how they decide how much they are willing to lend on any particular property. A purchase contract will generally have a clause called an “appraisal contingency,” meaning that if the appraised value of a house is less than the agreed upon sales price the buyer has the right to cancel without forfeiting the earnest money deposit. 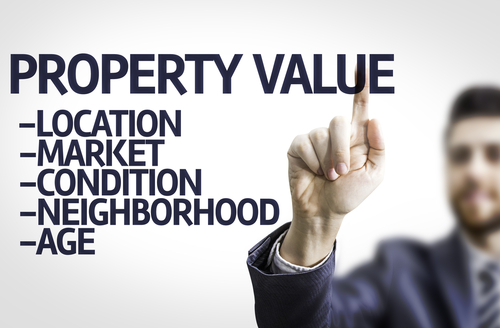 An appraisal is generally paid for by the buyer and runs about $500. Both the buyer and the seller will pay for title insurance as there are two different policies: owner’s title insurance, and lender’s title insurance. In Orange County, the seller pays for the more expensive policy which is owner’s title insurance, and the buyer pays for the additional premium to extend that policy’s coverage for the lender’s benefit. The cost of title insurance changes with the sale price, so the lower a sales price is, the less it will generally cost. For a very low sales price, say $50K the title insurance might be as high as 1%, but it quickly works its way down as you go up in price. Title insurance for a $750K sales price would cost less than .5% of the selling price, for example. So, why do you need title insurance? Here are examples of 6 issues that title insurance protects against. The buyer and seller typically split the escrow fees, but pay their own sub-escrow fees in California. A sub-escrow has to do with a previous property or transaction. An example of a sub-escrow would be a seller using the funds from their sale to pay off the current loan on their home from when they purchased the property themselves. Escrow fees vary from one escrow company to the next. But, the general rule of thumb is $2-3 per thousand of the sales price, plus $250. A $500K sale, for example, would result in an escrow fee of about $2,250 following this formula. 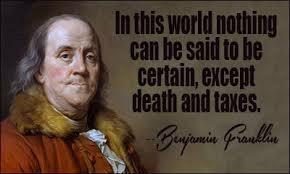 Ben Franklin said there are only two things certain in life: death, and taxes. When you transfer title on real estate from one person to another you incur a county tax, and in some cities a city tax as well. The county transfer tax throughout California is $1.10 per thousand of the sale price, but some cities will add their own taxes which can be as high as $4 or $5 dollars per thousand. But, if you’re shopping in Orange County, then you don’t have to worry about that because we don’t have any additional city transfer taxes anywhere! The county transfer tax is usually paid by the seller and city transfer tax (if any) would typically be paid in line with the particular city’s customs. So there you have it. As you can see there are a variety of costs associated with a home sale beyond the down payment and sales price. While this is not a comprehensive list, these are likely to be the most significant of the typical closing costs. Remember, each region has its own customs about who pays for closing costs, but at the end of day, everything is negotiable. Posted in buying, financing, selling and tagged appraisal, closing cost estimator, closing costs, commissions, escrow fees, home inspection, insurance, interest rate, lender fees, origination, points, real estate commission, repairs.